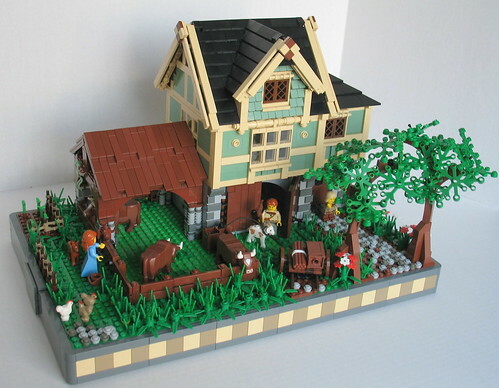 Brick Town Talk: Animal Farm - LEGO Town, Architecture, Building Tips, Inspiration Ideas, and more! Livestock Lane - (BTT) It's good to get away from the city once and a while, and this little farmhouse is about as charming as they come. Little details abound on the facade - especially nice are the sand green shingles on the top floor.